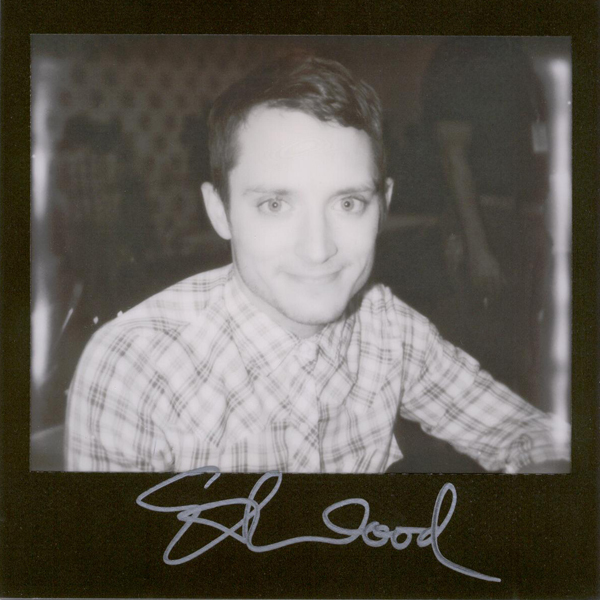 July 21, 2011: Elijah Wood in the press room for FX's "Wilfred" at San Diego Comic-Con International. Also in the press room were Fiona Gubelmann, Dorian Brown, Randall Einhorn, and Jason Gann. This portroid was taken with Impossible Project's Black Frame Silver Shade film. I took a second portroid with Polaroid film, too.